When the world’s foremost experts on social media, search marketing and online public relations gather to attend an event, the challenge to present compelling and actionable information is clearly on. Dating back to the beginning of this decade, the team at WebMasterWorld have met this challenge again and again with the PubCon series of conferences. 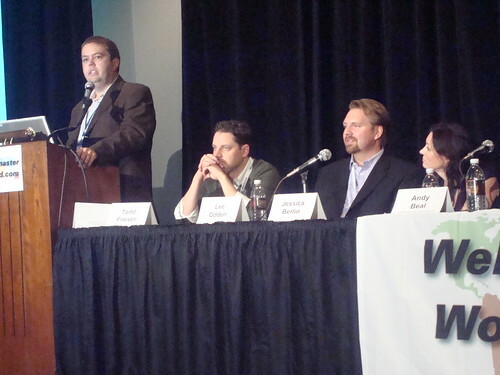 This November will be no different as WebMasterWorld hosts an elite collection of speakers and panelists at PubCon 2009: Social Media, Search, Affiliates in Las Vegas Nevada. 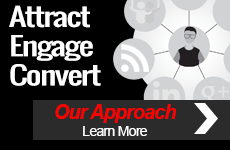 Contributing to this event will be TopRank® Online Marketing, who will be represented on three panels by CEO Lee Odden and one by Account Manager Adam Singer. Can public relations 2.0 be summarized in 140 characters or less? Don’t let the character count lull you into complacency. To break through, today’s PR efforts must be powerful, targeted and, of course, concise. Singer and his panel of social media promotion experts will take you from mid-level public relations to advanced online PR and social promotions experts in no time. How Do Social Media & Search Intersect? With social media seeming to fill the promotional role previously occupied by search marketing, it only makes sense that social media prevents the need for search, right? Don’t fall into this trap. Join Odden and his panel of social media and search experts as they detail how these two tactics both intersect and complement each other in supporting your overall marketing objectives. Online public relations makes it possible for today’s small businesses to grow into tomorrow’s major online marketing players. 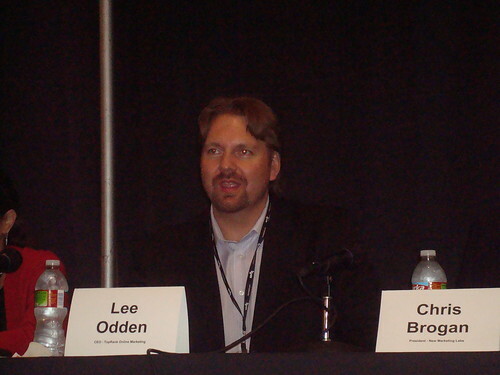 Learn how small businesses can master online PR to drive traffic and achieve business objectives from Odden and his panel. Search Bloggers: What’s Hot & Trending? Can bloggers maintain their influence with the emergence of newer forms of social media? 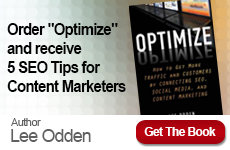 With the right strategies, ‘yes.’ Discover what these blogging strategies are, and understand how to integrate them into your efforts, from Odden and his panel.